Another Chance To Watch Hungry For Change For FREE! 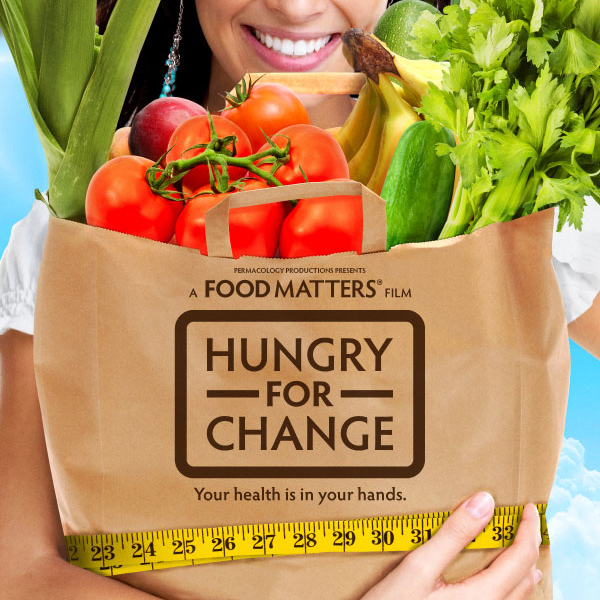 Have you seen Hungry for Change? If not, you have another chance to see it for free. Be quick, you only have 10 days. Hungry for Change is a film about creating lasting weight loss, abundant energy and vibrant health. So what is stopping us from getting this? Hungry For Change exposes shocking secrets the diet, weightloss and food industry don’t want you to know about. Deceptive strategies designed to keep you craving more and more. Could the foods we are eating actually be keeping us stuck in the diet trap? The film features a number of food and health experts including Jamie Oliver, Jason Vale, Kris Carr and Joe Cross. Inspired by Hungry for Change and want a juicer? Click here to get a 5% discount at Juice Master! – Note: discount is applied at check out.